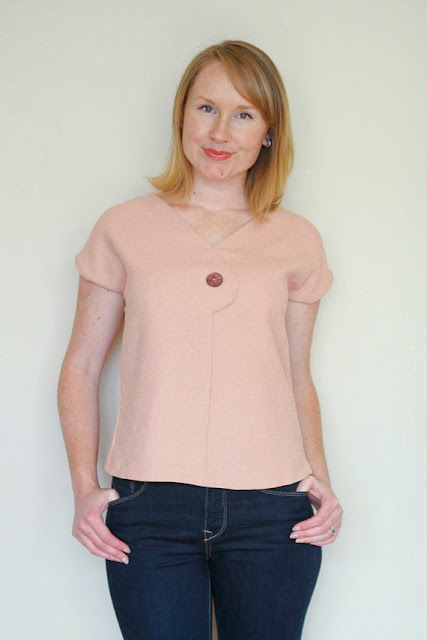 an expansion pack of the popular Afternoon Blouse pattern. You can get your very own pattern here. 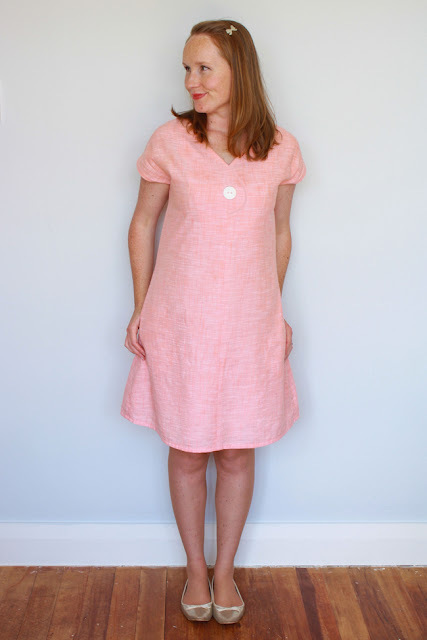 This new version includes additional sizes in the upper range as well as a comfortable and stylish Shift Dress variation with your choice of back box pleat or light gathering for additional shaping, as well as some all-important side seam pockets. 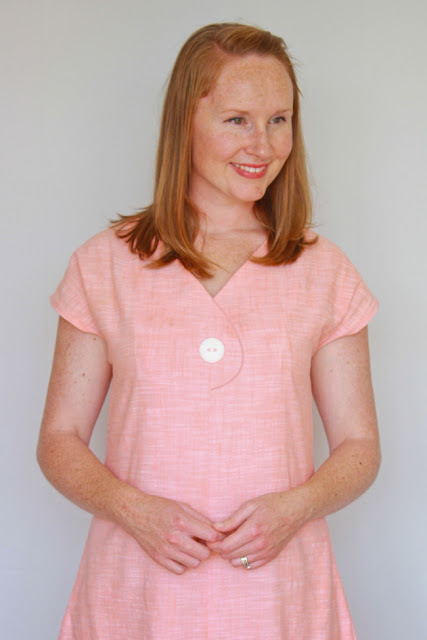 With pretty kimono sleeves and two different neckline options, The Afternoon Blouse & Shift Dress is a great pattern for beginners and advanced seamstresses. 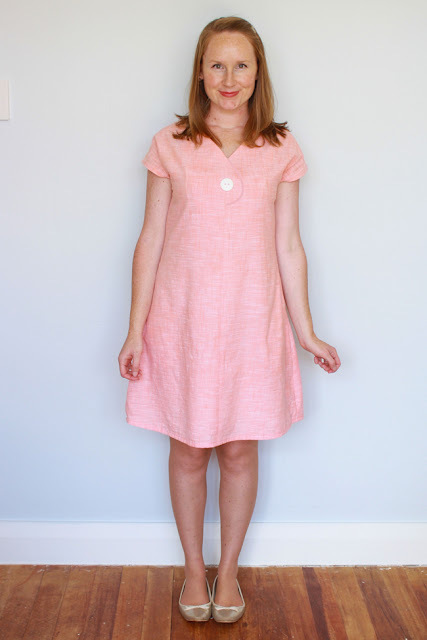 You can make both the dress and blouse in most fabrics. 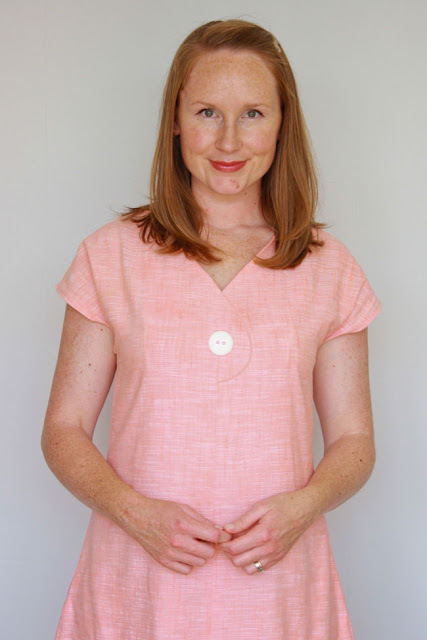 Why not make use of all those quilting cottons in your stash for a crisp garment, or use light cottons like voile, lawn and linen for a softer, lighter finish - perfect for wearing in spring and summer. If you want a little more luxury or a bit more of a challenge, try stitching them up in silks and rayons. 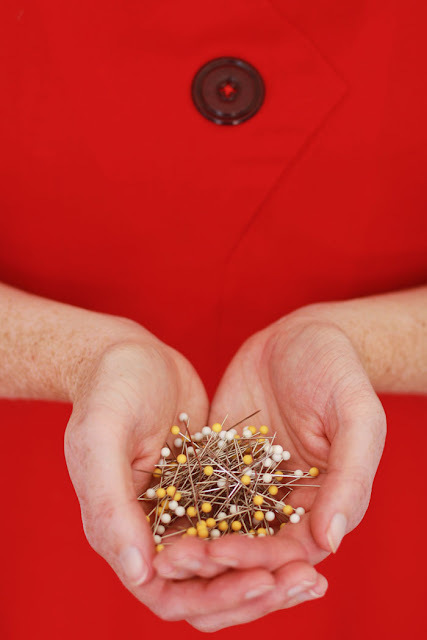 And for those of us heading into winter, why not stitch up your very own shift dress in a snuggly flannel or drapey wool-blend? 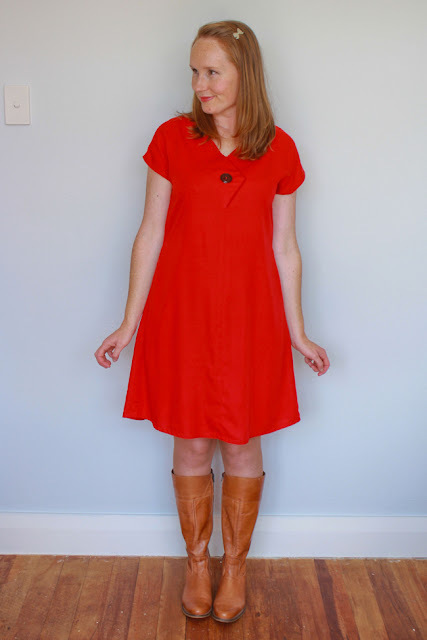 Then layer it up with tights, boots and a scarf, and you're set for an autumn afternoon walk. 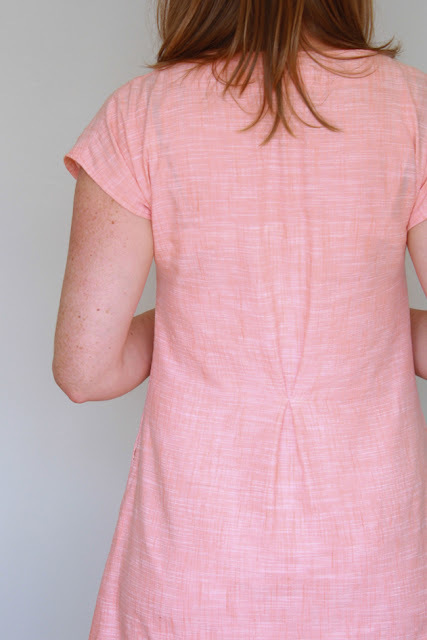 As the name suggests, you should be able to whip up either the blouse or dress in an afternoon, so if you're after a quick and satisfying make, then this should be right up your alley. What if you already bought the blouse when it was first released...? So, what do you think? Will you be swanning around in an Afternoon Shift or Blouse soon? I'd love to see them if so, make sure to tag me on Facebook, Pinterest and Instagram! 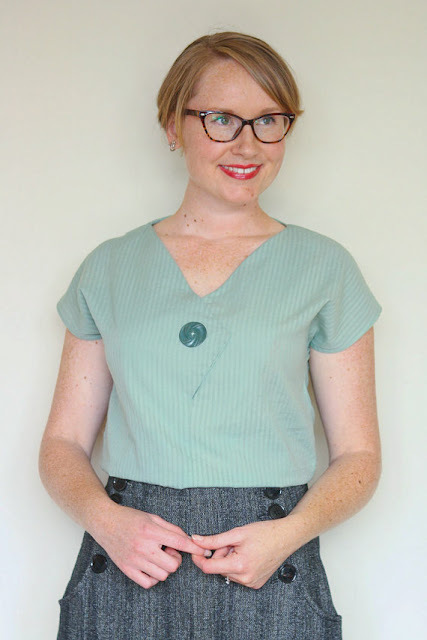 17 comments on "Introducing The Afternoon Shift Dress Pattern - an Afternoon Blouse Expansion Pack..."
Yay, I'm so glad you like the updated pattern. 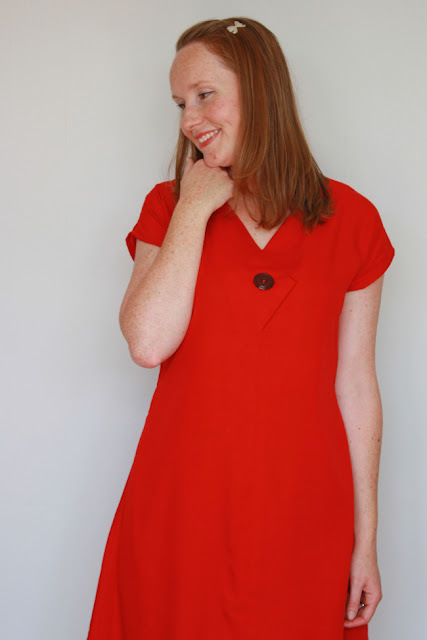 A shift dress isn't my usual style, but since becoming a mum, easy dresses that slip on and don't require any fuss (but still make you look put together even when you're covered in porridge) are what I need right now, hehe! I can't wait to see your version when you get a chance to make it up. I totally understand needing to be in the 'sewing mood'. I've been in the mood for several months now, which has been amazing, but finding the time has been a whole different story. So, I'm hoping the ride lasts a bit longer so I can get more done. Hello, I love this extension, it looks beautiful. I was going to ask whether you thought it would be suitable for nursing as a dress? Do you think the front button opens far enough for it? I miss dresses! Hey Deborah, that's just what Helen and I were talking about above! Neither of us gave it a go, though I totally meant to, but that time just went by so quickly! I've only just started wearing dresses again, and it's so nice! I feel your pain. 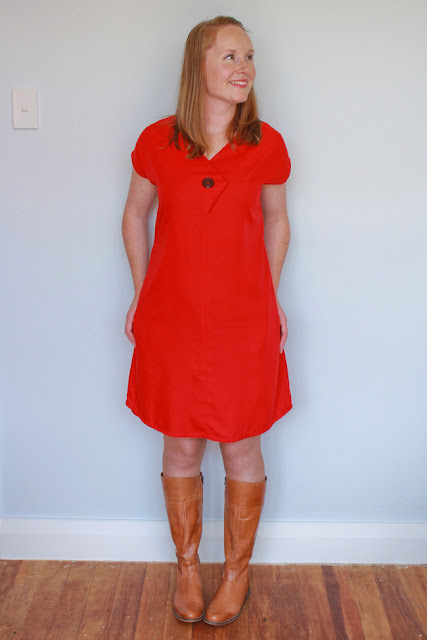 If you do make it as a nursing dress, one thing to consider is your bust size. 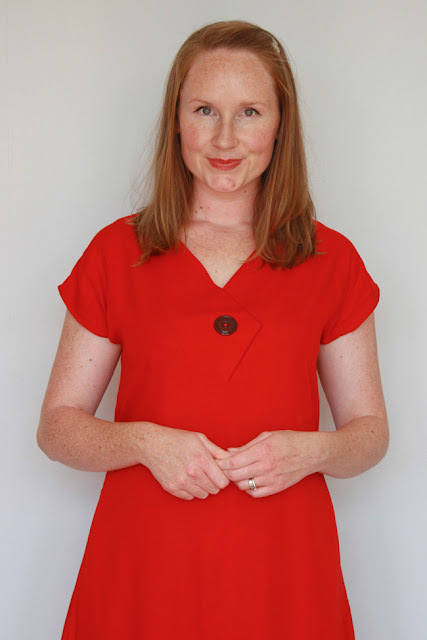 The dress and blouse are slightly more fitted at the bust (well, there's around 4cm ease included there, so it's not fitted, but it's more fitted there than the waist and hips), and from my experience, your bust can grow quite substantially when breastfeeding. You could try making it up in a knit though! I think that would work and would give you all the extra room you needed there. Otherwise, I'd probably grade out a size in the bust. Let me know if you give it a go, I'd love to hear whether it works or not! it really is beautiful, on my todo list both blouse and dress. I love this! It looks like it would be very comfortable to wear! I like to wear a lot of dresses because they are so easy and you look put together no matter what. I may have to give this pattern a try. This dress is super lovely. 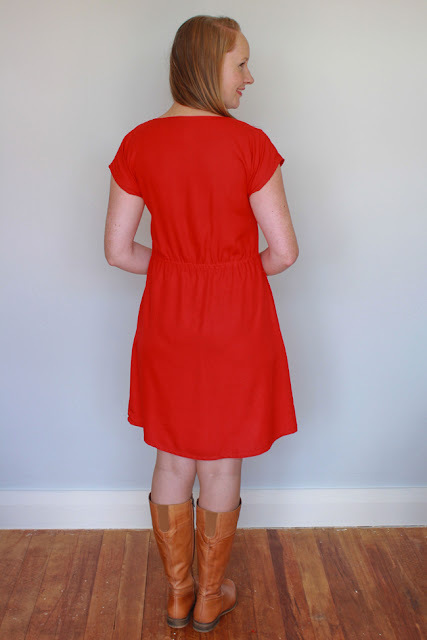 I love the simplicity of a pull-on dress. 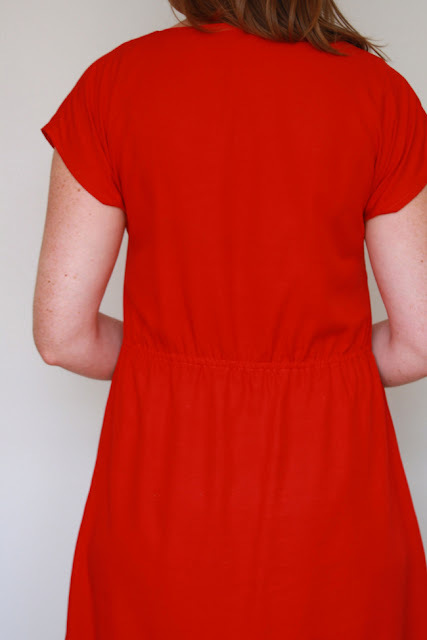 I like the design of this dress plus the pockets and back shaping - its a winner! 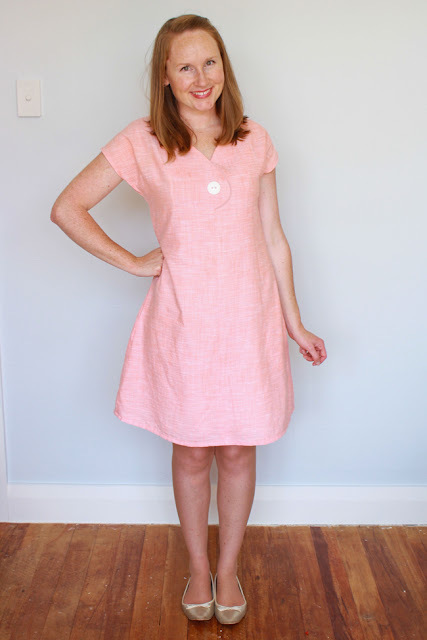 Yay, I'm glad you think so :) It's also a quick sew, perfect for when you just want something made already! 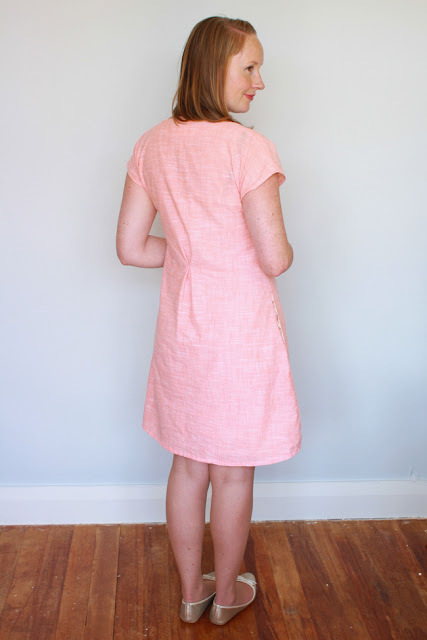 Wow, the dress is so pretty and I have linen in burning red just like your sample, so I can't wait to make one for my self! (Waiting for an update, but I guess I wasn't in the first batch, bummer). Awesome! The pink one is a linen, so that should give you a good idea of how it will fall, the red is in rayon :) I hope it's come through to you now - I've done two big batches so far! Great outfit! Love the shape and texture of it. Amazing design clothes online!